With our ten year anniversary right around the corner, we at RPL like to look back on where we came from, and where we’ve been. We have enjoyed the ride, and hope you like reading about our story as much as we have enjoyed living it. 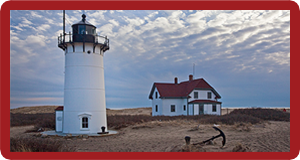 Race Point Legal (RPL) was founded in 2003 as an operational division of the nascent Nauset Concepts, and is named for Race Point light in Provincetown, MA. RPL was created as a market-specific identity for the more broadly targeted Nauset Concepts and quickly became the focus of Nauset Concepts' efforts, as it enjoyed remarkable early success in the Legal Market. RPL founders Jon Gardner and Greg Woody coupled extensive computing, development, multimedia, collaboration and other technology skills with a host of ideas to improve and augment the use of technology. They bring academic backgrounds including neurobiology and psychology, business management, computer science, biotechnology and education. The founders met, and worked alongside each other, at a small software start-up company. RPL first partnered with Howard Nations in 2007 as a vendor, before seizing the opportunity to work so closely with one of the most brilliant and esteemed attorneys of the day as a development partner and advisor. RPL set about to create technology based around the ideas of Mr. Nations (and others) to create a truly attorney-centric set of services and technology tools, called OnPoint. This toolset heralded RPL’s initial penetration of the highly coveted mass tort litigation market in 2008. After several years of live field development and testing of OnPoint, RPL began deploying its products and services nationally, and developing the Race Point Legal brand by exhibiting at conferences across the country. In 2009, RPL partnered with the Aletheia Institute and the Association of Plaintiff Interstate Trucking Lawyers of America as founding sponsors, and continued to develop and distribute OnPoint, primarily as software-as-a-service. After a move from the Old Cotton Exchange Building to a new office and studio at One Americas Plaza in 2010, RPL augmented its video services by developing interactive depositions, and partnering with PIPE Supermedia to offer high-end video production for marketing and education. Live development and testing of OnPoint continued through 2011, and RPL added digital publishing to its repertoire of content delivery.